Laura, thanks for posting on my entry Potpourri , I am glad that you liked what I wrote and I also know that it takes courage to post something for the first time. Sometimes I receive accolades from people who read my stuff but only a few leave a record for others to read. I like to read, but not only poetry… I even enjoy “reading” a finished sudoku puzzle and gratify myself with the accomplishment! In Spanish for instance, I like the work from my Peruvian compatriot Cesar Vallejos, and all the verses of the great master Neruda (the Chilean Olympian of words) – who now rejoices among the elites of the Olympus and sits at the same table with Zeus together with Emily Dickinson, Edgar Allan Poe and other classics of the English language.…Yes, I enjoy reading but likewise I also indulge in eating, sleeping, or walking a dog if one is available! I don’t like pseudo-intellectuals, persons who can recite, quote and name the writing of many simply to impress others and like them much less if they have the audacity to “price tag” your work. – pompous they conduct themselves as if they possessed some divine authority to judge. Emphatically, I am suspicious of these “virtuosos” with giant memories filled with the words of others but who cannot produce meaning of their own creation. You may wish to enlighten your spirit by reading from the “literary giants”; or you may even want to emulate their style by virtue of their intrinsic beauty. Yes, I agree with anyone who endorses that reading from the great writers is incredibly rewarding. But it is not a prerequisite to “educate” your intellect with the words of others to be able to write from within - your own suffice to to connect with your soul. The creative process of how words take meaning and how they capture the essence of thought it is an intimate experience. 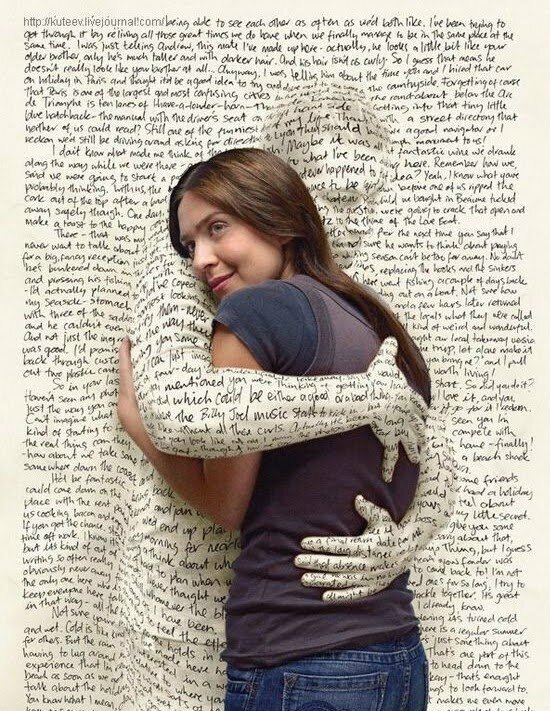 In that regard, words that explain your feelings and connect to your soul are innate to the creator (the poet) and nobody else. I like to say that when I am inspired, I enter into a "zone", a space where words float around my mind, then I filter them through my heart, choose them like picking cherries, and then compose for meaning. Impostors who insensitively spew Chaucer and Joyce as to show a metric of their worth, are most certainly obtuse and deprived from understanding the true value words; particularly from the words written by the superb minds that composed the original versions they think to master – understanding comes with sensitivity, the ability to connect with meaning that flow through your senses and not from data-bank of extraneous knowledge. To illustrate my point, imagine a 5 year old girl tenderly holding a chick who has just hatched, stretching her arms and hands - with a smile and her eyes filled with discovery utters the word “yellow” … she has just composed her first one word poem at the age of 5. Now, a few seconds later she calls your attention again, and as she brings the chick close to her chest, she recites her poem for the second time and says “yellow”. She has just concluded her act by adding meaning and sublime value to her creation, and perhaps bringing some tears in your eyes. I recommend you read what a Paulo Lopez who wrote on his blog about the subject. Estoy muy cansada ya para leer en inglés, pero esta foto... ¡es impresionante!